“Rules of the road”— widely accepted norms of safety-related behavior based on common understanding — have existed in various forms over the centuries and have evolved as new technologies have revolutionized how people and vehicles travel. But how are these “rules” created when common understanding of new capabilities is not yet established? This question plays directly into why DARPA has initiated their Consortium for Execution of Rendezvous and Servicing Operations (CONFERS) program, with Phase 1 awarded to a team led by Advanced Technology International (ATI), based in Summerville, South Carolina. The lack of clear, widely accepted technical and safety standards for responsible performance of on orbit activities involving commercial satellites remains a major obstacle to further expansion of commercial and government space operations, and could put long-term sustainability at risk. To help overcome these challenges and provide the foundation for a new commercial repertoire of robust space-based capabilities, CONFERS envisions a permanent, self-sustaining, and independent forum where industry could collaborate and engage with the U.S. Government in research about on-orbit servicing, as well as drive the creation of standards that servicing providers and clients would adopt. Through collaboration with carefully selected industry and government space experts and stakeholders, the consortium aims to benefit the entire on orbit servicing industry by building common understanding between developers, operators, customers, investors, insurers, and government policy makers while protecting commercial participants’ financial and strategic interests. The standards would be broad enough to allow individual companies to pursue their own implementations of these standards to suit their individual businesses, while assuring that the implementations adhere to best practices for operational safety. Todd Master, a program manager in DARPA’s Tactical Technology Office (TTO), stated that the emerging capability to finally conduct cooperative, fully robotic servicing operations on orbit stands poised to fundamentally transform the way that spacecraft are built, operated and replaced. However, all need to agree how to do this safely and responsibly. 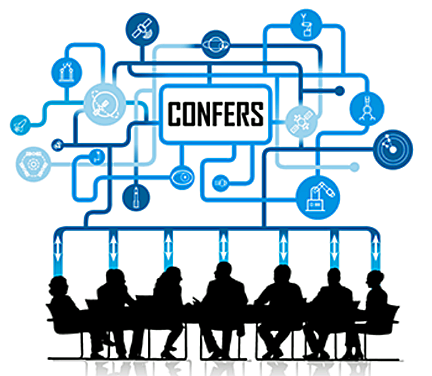 CONFERS seeks era-transforming improvements through research to develop the first ‘rules of the road’ for cooperative on orbit operations — these standards will accelerate the commercial servicing marketplace and provide the foundation for safe and responsible space-based capabilities for the 21st century and beyond.